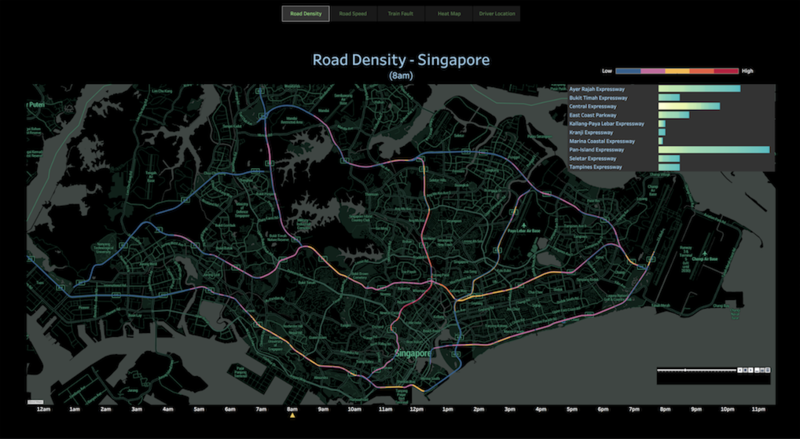 The above road density map can provide both Grab and governments insights on how to improve traffic flow during peak hours. Detecting traffic anomalies (e.g. traffic jams) or events (e.g. road lane blocking due to road works or accidents) in real time can be used to recalculate ETAs or ETTs or to propose alternative routes for drivers and at the same time help decongest the affected road network. While newly launched, insights from the Grab-NUS AI Lab can already make a difference for Singapore starting today. 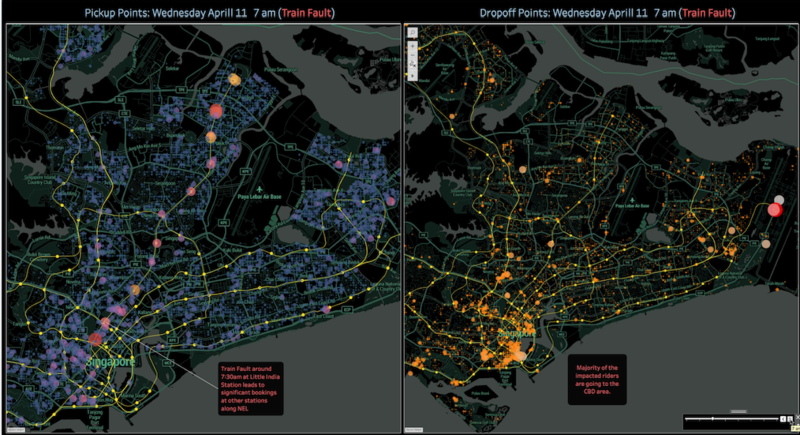 For example, our data shows that Newton to Tanjong Pagar is the busiest route in Singapore during peak hours. If this route would be better served by more shared transport solutions, such as buses, trains, GrabShuttle, GrabShare or GrabHitch, we could bring travel time during peak hour down by 1/3rd or from 40 to 28 minutes.